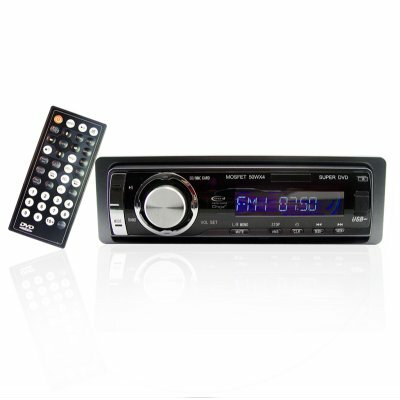 Successfully Added MP3 MP4 WMA 1-DIN Car DVD Player - SD Card Reader to your Shopping Cart. Almost a steal at the price Chinavasion is able to offer, make sure not to miss out on this incredible chance to make your car into something that will easily pass the hours away on the road. il lettore fa quello che dice anche bene. soldi spesi bene. grazie. A good player, I've been looking for something like this for a while. Good stuff.